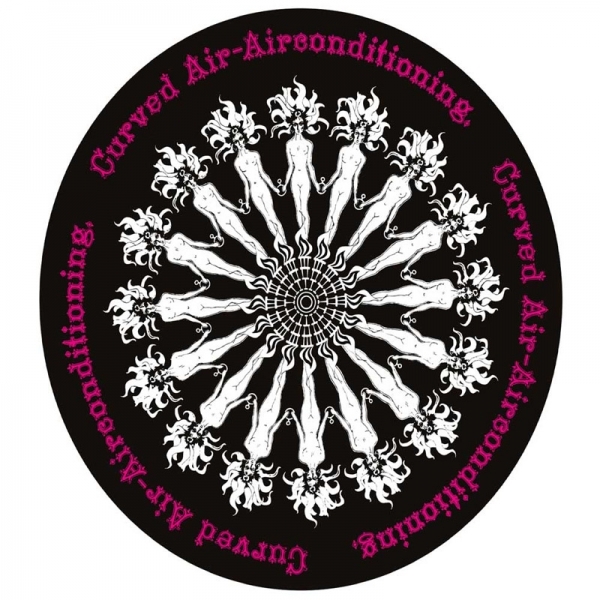 Esoteric Recordings is proud to announce the release of a new expanded and re-mastered 2 CD edition of Curved Air’s classic 1970 album “Air Conditioning”. Originally issued on the Warner Bros. label in November 1970, “Air Conditioning” showcased the highly innovative talents of Sonja Kristina (vocals), ex-Royal College of Music student Darryl Way (violin), former Royal Academy of Music student Francis Monkman (electric guitar, piano, mellotron, VCS3 synthesiser), Rob Martin (bass) and Florian Pilkington-Miksa (drums). Taking their name from the album “A Rainbow in Curved Air” by American composer Terry Riley, Curved Air’s debut album perfectly demonstrated the band’s innovative musical approach, blending classical, electronic and folk music influences in their work and featuring Sonja Kristina’s sublime vocals. Featuring such classic tracks as ‘It Happened Today’, ‘Propositions’, ‘Vivaldi’ and ‘Situations’, “Air Conditioning” was a Top Ten hit in the UK and firmly established Curved Air as one of Britain’s foremost progressive bands. This new expanded Esoteric Recordings two disc edition features the original album, re-mastered from the original master tapes, along with eleven bonus tracks which include the rare single version of ‘It Happened Today’ and the non-album track ‘What Happens When You Blow Yourself Up’. Disc Two of the set features three previously unissued session out-takes of ‘It Happened Today’, ‘Rob One’ and the highly sought after ‘Thinking on the Floor’ and six tracks recorded in session for BBC Radio One between November 1970 and January 1971. This new edition of “Air Conditioning” also includes an illustrated booklet with a new essay by Malcolm Dome featuring an exclusive interviews with band members.